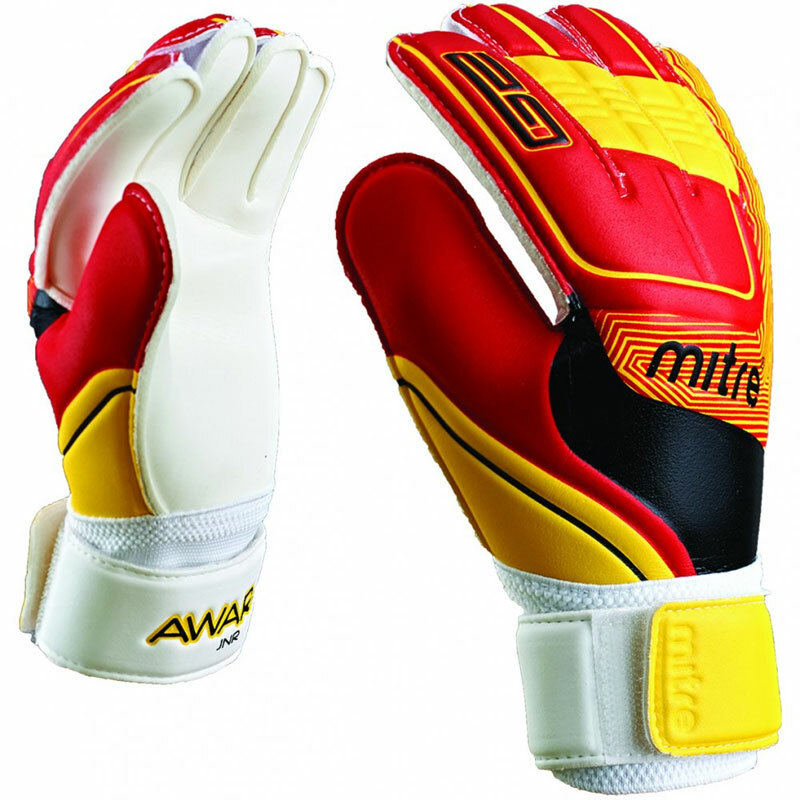 The Mitre ® Awara Junior Goalkeeper Glove is a great goalie glove for kids. Perfect for a small-sided game with mates. 3mm latex palm and comfortable cushion-foam (EVA) backhand. Flat palm construction for superb grip and handling. Fully elasticated cuff with strap control ensures optimum fit. Developed for maximum comfort - helping you concentrate on the game and keep those all important clean sheets. Please measure across the width of the palm - excluding the thumb, just under the fingers to ensure a perfect glove fit.